Recently I have been reflecting on friendships--not just specific friendships but the concept of friendship. My reflection started while watching the Netflix show Stranger Things. The show depicts the friendship of four middle school kids and their search for a missing friend. The show is set in the 1980s. It resonated with me personally, because it took me back to a time when friendship was a higher priority in my life. In one scene, a boy named Mike attempts to explain the concept of friendship to Eleven, an unusual girl who hadn't experienced friendship or even been around other kids her own age. While attempting to convey what a friend is and does he tells her, “friends don’t lie." Honesty certainly is an important aspect of friendship, but does it sum up the whole. That scene led me to ask, "How do I view friendships in my own life?" While serving as a pastor, I've had the opportunity to mentor young seminary students studying for pastoral ministry. One interesting topic that regularly comes up is having friends at the church where you serve. You might be surprised that there's not a consensus about whether having friendship in a church you serve is a good thing. The primary concern is that some people will only befriend you because they want influence. Others have suggested that friendship and ministry aren't compatible, because you are setting yourself up for betrayal. Some pastors believe they will only have friends again once their ministry is finished. The truth is that serving in ministry can be a sad, lonely, and scary place, but this will only be exaggerated if you believe friendships should not be afforded or allowed. No matter your occupation, having friends can lead to frustration, tears, betrayal, and disappointment. Any good friendship involves risk. Every relationship has cost. But having friends is an important part of both ministry and life. Can pastors have friends? The short answer is yes. God created us for friendships. Who will help you as you traverse the complexities of life? In his book Survive or Thrive, Jimmy Dodd talks about six relationships every pastor needs. One of those relationships is friendship. Jimmy says, “One of the most important gifts to us by God to confront isolation is friendship. Friends are a vital part of an emotionally healthy life. Friendships nourish our souls as nothing else can. The Godhead is steeped in relationship. Friends are an earthly, visible reflection of the relationship between God the Father, God the Son, and God the Holy Spirit. We desperately need friends.” Who are you living life with? God has mercifully and lovingly provided me with gospel friendships along life’s way. There are important friendships with men in my local church as well as friends who spur me on who are not a part of my local church (I think that's really important for pastors, too). Included in this list are the two amazing guys who also write here at Gospel Centered Family. My relationship with Patrick and Jared began with an email to Jared about family ministry. What grew out of that email was a pair of long term friendships. Many times in ministry you spend your time networking and have a lot of relationships that are surface level, only used to aid one another in ministry rather than delve into the depths of a person’s life. I'm thankful that this is not the way it is with these guys. They won’t allow it. They enter into struggles and shed light into dark places. They do not meet failure with harshness, but with grace, encouragement and prayer. They know when to challenge and when to listen. Our friendship is not based on my performance, and it is a beautiful reminder of how God relates to us. 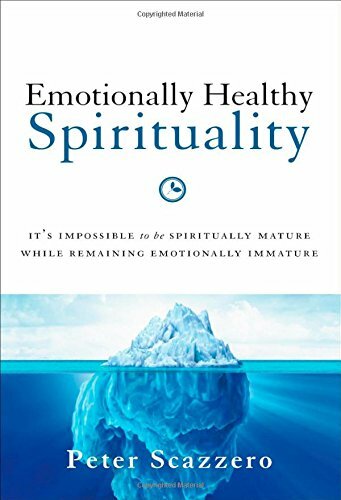 If you are struggling to find meaningful, life-giving friendship or you're wondering why it even matters if you have friendships, consider reading Emotionally Healthy Spirituality by Pete Scazzero or A Loving Life by Paul Miller. 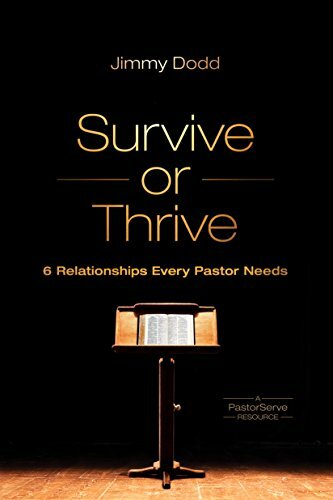 If you are a struggling pastor please be encouraged to check out the book Survive or Thrive by Jimmy Dodd, and also his ministry Pastor Serve, which provides pastors to shepherd other pastors. If you are not a pastor, encourage your pastor by asking how they are doing and how you can pray for them. Let them know about Pastor Serve. You can find out more about Pastor Serve at www.pastorserve.net. God, thank you for friendships. Give us the kind of friendships that point us toward You. You are our Friend, closer than a brother. You are always faithful, caring, and trustworthy. Help me to be a good friend. Amen. Recently my daughter got braces. Our dentist has been telling us for a while now that it was going to need to be done. We settled on the orthodontist I went to as an adult (and got the family discount ... which doesn't feel like a discount when you see the full bill... but we'll take any break we can get). Now my daughter has a long road ahead of her. And as I've thought about it, I've noticed a few similarities between her life with braces and parenting a middle schooler. For those of you who have never had braces, here is the basic idea. You apply pressure in just the right place so that teeth are brought into alignment. As parents, we feel pressure to bring our kid's behavior into alignment. But sometimes we can aim the pressure of discipline and instruction in the wrong spots. Instead of addressing behavior directly, we must apply pressure on the real trouble--the sinful heart behind our kids' behavior. With a pre-teen, one way to do this is by simply asking "why?" Help your son or daughter reflect on the reasons that led to a poor decision. In order for the braces to complete their job, they must be regularly adjusted. Regular adjustments are necessary in our parenting as well. We need discernment to determine when kids need justice, when they need mercy, and when they need grace. If parents don't adjust the pressure they apply to their kids regularly, they may end stunt the growth they wish to see. Spend some time with your spouse or another parent. Consider whether you've been too heavy handed or too permissive. Could making a small adjustment help you better reflect God's dynamic justice and grace? It only took six hours--a measly six hours--for my daughter to pop her first bracket. At the time I wrote this post, she had already popped two more. I should have expected it, because I don't know of anyone who has had braces who hasn't lost a bracket or unhooked their wires at some point in the process. In parenting, we need to expect and acknowledge brokenness as well. We must acknowledge and confess our own sinfulness and brokenness even as we deal with the brokenness in our kids. The last thing I want my daughter to do is hide the fact that one of her brackets has come loose because she's embarrassed or she's scared I'll be frustrated. I also don't want my daughter hiding her sin, but I know that the only way she'll practice vulnerability about her brokenness is if she sees me model the same vulnerability and expectation that sinfulness and repentance is a regular part of life. Kate needs to see what it looks like for me to confess my own sin, ask her for forgiveness, and then cry out to Christ for pardon as well. She needs to see me repent of my sin to God, to my wife, to her, and to her brother on a regular basis. According the orthodontist, it will be two years for the braces to do their thing. For my twelve year-old daughter, that seems like a lifetime. She told me she's looking forward to the day they come off. She's looking forward to seeing her new smile. She's looking forward to eating all of the forbidden foods again. But for now she's content to wait. While she is suffering now, in two years there will be joy. This is a lesson for parents as well. Parenting kids can, and often does, feel like suffering. But as we wait with hope there can be joy. We get glimpses of it as we see our kids grow to make wise decisions and as we graciously help them walk through life with faith. Here is an article to help to find joy in parenting. David Mathis wrote this article entitled, Happy Daddy, Happy Home. Mathis writes, " Yet you can’t consistently and convincingly express a delight that you don’t have. 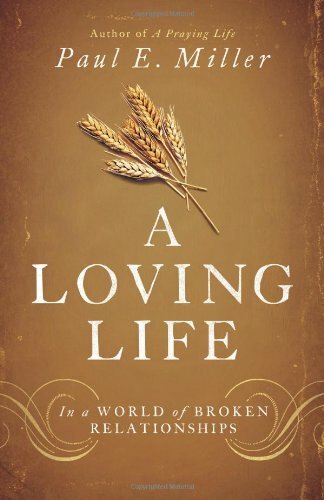 The first step, Ajith says, before expressing joy, is experiencing it — and the transcultural key to learning delight in one’s children is finding God’s own fatherly delight in us as his child. It’s one thing to hear and confess, but another thing to truly know and enjoy." This week John Piper on Desiring God had an interview that discussed Preparing our Kids for Suffering. Piper says, " In fact, I would say that the greatest challenge of parenting — at least, I look back over, what did I parent? 42 years or something like that, so far — the greatest challenge of parenting is not primarily remembering all the things that should be taught in the catechism, but primarily being a parent growing in grace and humility and trust and joy in all the ups and downs of life. Few things will have a greater power in our children’s lives to help them suffer as Christians." John Murchison at The Verge talks about Instilling Identity in Your Children on Halloween. Murchison says, "In our home, we have chosen to celebrate Halloween as a fun, cultural holiday. We love making the kids’ costumes and joining with our neighbors in trick-or-treating. However, my wife and I also feel strongly that the dark, scary, and evil parts of the holiday are not to be celebrated." What have you been reading? Please share in the comments!